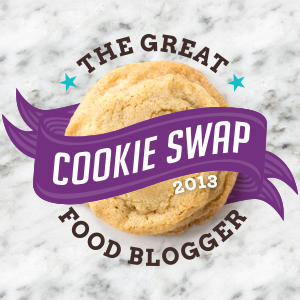 I am so excited to be part of the Great Food Blogger Cookie Swap this year! This is the 3rd annual swap, but just my first year participating. I heard about it through another blogger last year but missed the sign up by just a few days. I made sure to sign up for notifications so I wouldn't miss it this year! So let me tell you a little bit about this awesome event. 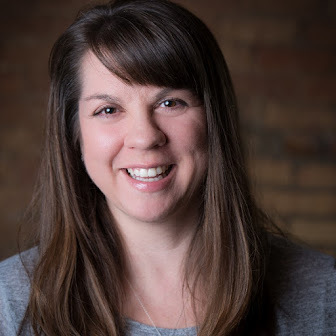 Hosted by Love & Olive Oil and The Little Kitchen and partnered with COOKIES FOR KIDS’ CANCER, we not only contributed to the food blogger community, but we also supported a great cause. Between the blogger contributions and contributions from brand partners, we raised over $13,000! 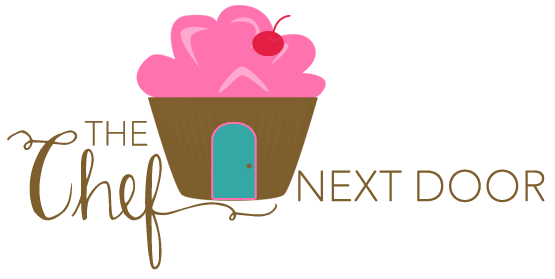 The cookie swap is pretty simple...the hosts give each participant the names and addresses of three other bloggers. That participant bakes a batch of their favorite cookies and sends a dozen to each blogger. In turn that participant receives a dozen cookies from three other bloggers. It's that simple! Want to learn more? Visit the official FB Cookie Swap website or visit their Facebook page. Are you interested in being a part of the swap next year? You can sign up here to receive notifications and news! I was lucky enough to receive some pretty amazing cookies, all of which were delicious! First, these fabulous Molasses Cookies from Foodness Gracious. Next I received the cutest little Vanilla Bean Shortbread Cookies with Salted Dulce de Leche Filling from Live...Bake...Love. Yum! And last, but certainly not least, I received more delectable Molasses Cookies from West Street Story. A big thanks to the the wonderful bloggers who sent cookies to me. My family and I truly enjoyed each and every bite! Be sure to visit each of these bloggers sites to get their recipes. So now on to my cookie recipe. I mentioned in an earlier post that I've been digging out old family recipes and reinventing them a bit. My Meme (that's my grandma) used to make these delicious Southern Tea Cakes. Most people think of Russian tea cakes when you say the phrase tea cake, but this cookie is not like that at all. It's almost like a sugar cookie, but better. These cookies have just a few ingredients but are truly delicious and super special to me. Adding a few dashes of holiday colored sprinkles on top makes the cookies super festive. Give them a try and let me know what you think! I sent a batch of Meme's Southern Tea Cakes to Miss Information, The Suburban Soapbox and Healthy Living Revelations. I hope all you ladies enjoyed the cookies! Using a medium cookie scoop, drop the cookies onto the prepared baking sheet. If desired, sprinkle the tops of the cookies with a bit of colored sugar sprinkles. Bake for 8-10 minutes, until the cookies are lightly browned.